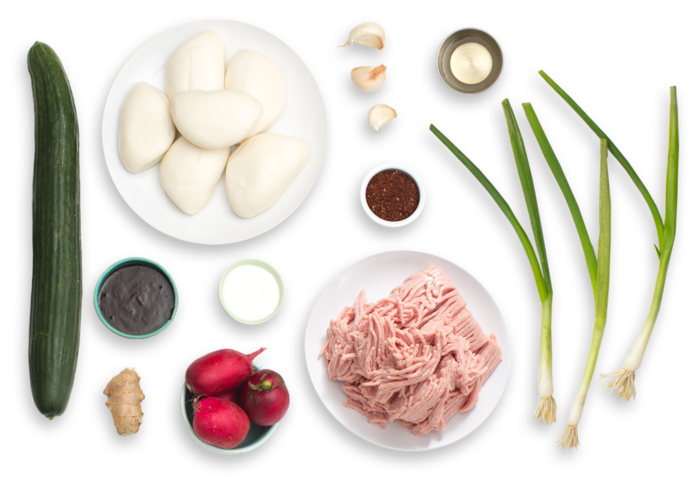 Dumplings are one of the most widely-eaten—and widely-enjoyed—foods in the world. 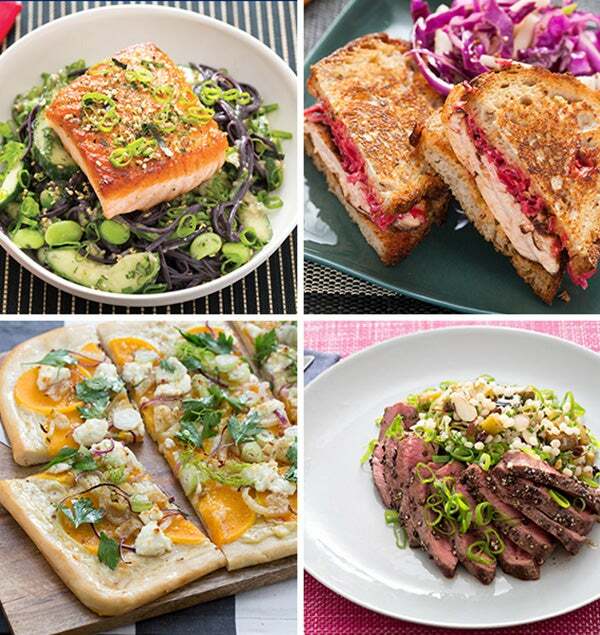 Many different cultures boast their own unique, regional varieties. One Chinese dumpling in particular has risen to almost meteoric fame in the modern American culinary scene: the steam bun, an appropriately-named, steamed dumpling. 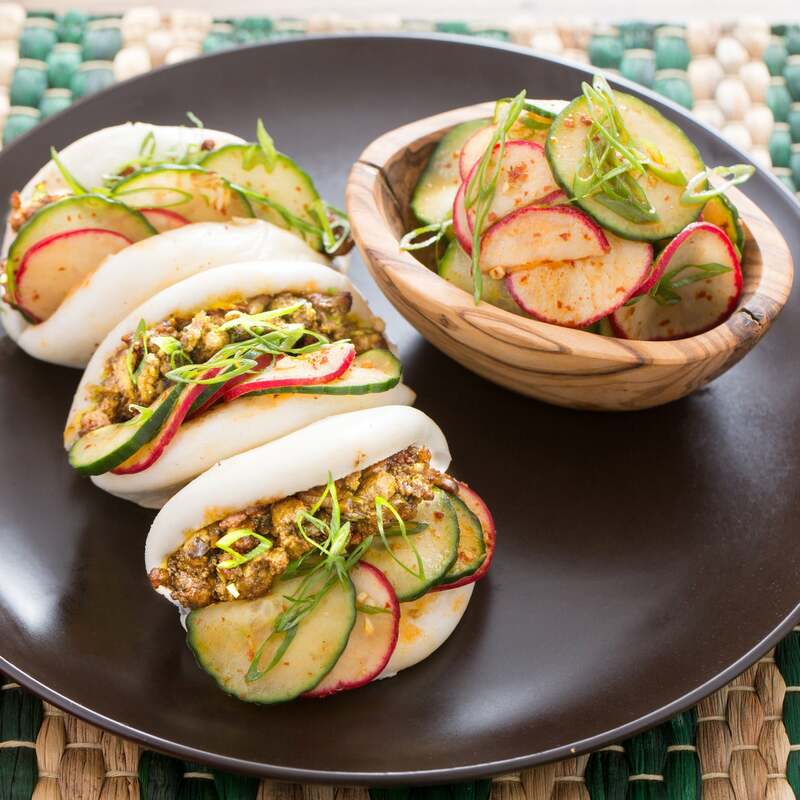 In this version, we’re filling pillowy steam buns with a flavorful, aromatic mixture of ground turkey cooked with traditional seasonings. 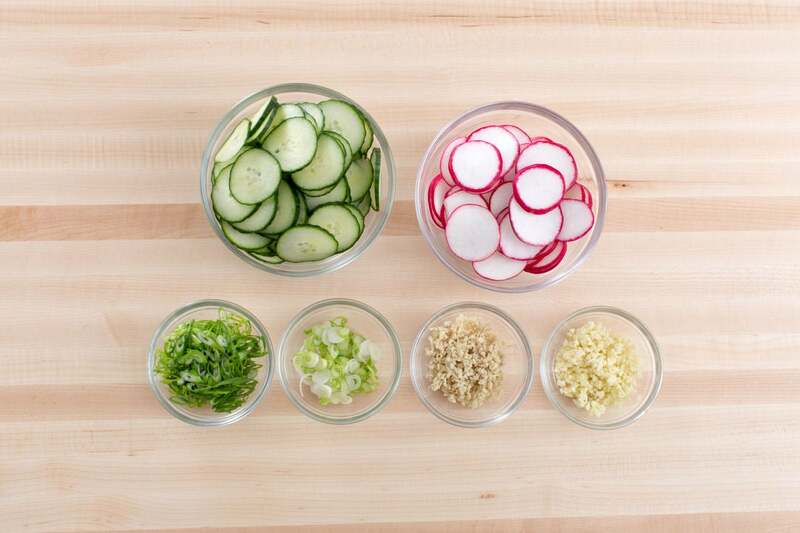 And for a zesty side, we’re creating a quick version of kimchi made with cucumber and radishes. Wash and dry the fresh produce. Heat a large pot of water to boiling on high. Trim off and discard the ends of the radishes; thinly slice the radishes into rounds. 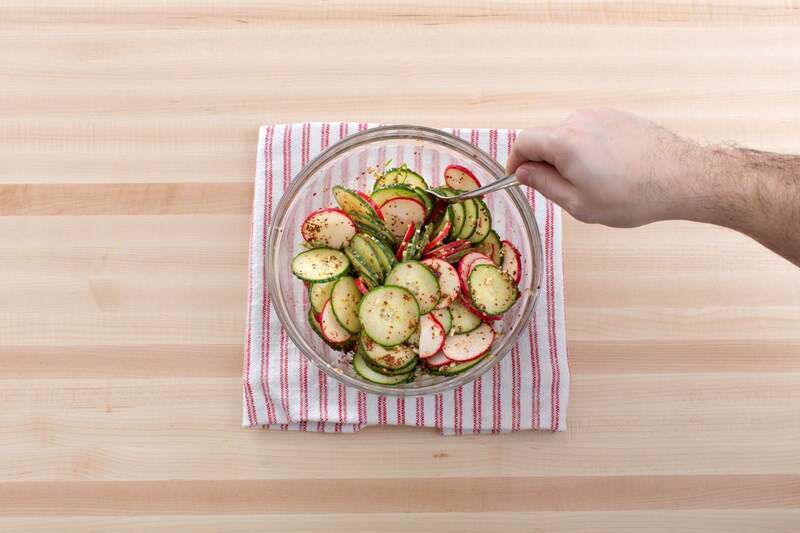 Thinly slice the cucumber into rounds. 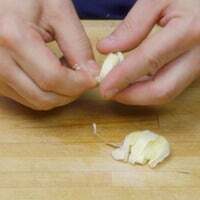 Peel and mince the garlic and ginger. Cut off and discard the root ends of the scallions; thinly slice the scallions on an angle, separating the white bottoms and green tops. In a large bowl, combine the radishes, cucumber, vinegar, half the garlic, half the ginger, half the sugar, half the green tops of the scallions, a drizzle of olive oil and half the gochugaru (for a milder dish, use less gochugaru). Toss to thoroughly combine and season with salt and pepper to taste. Set aside and let marinate, stirring occasionally, for at least 10 minutes. While the kimchi marinates, in a medium pan (nonstick, if you have one), heat 2 teaspoons of oil on medium-high until hot. Add the ground turkey; season with salt and pepper. 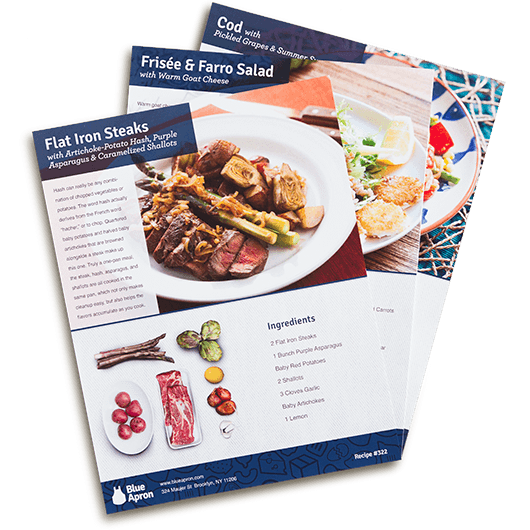 Cook, frequently breaking the meat apart with a spoon, 6 to 8 minutes, or until lightly browned and cooked through. Transfer to a bowl, leaving any browned bits (or fond) in the pan. 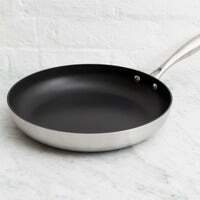 Add 2 teaspoons of oil to the pan of reserved fond; heat on medium until hot. Add the white bottoms of the scallions and remaining garlic and ginger. Cook, stirring frequently, 30 seconds to 1 minute, or until softened and fragrant. 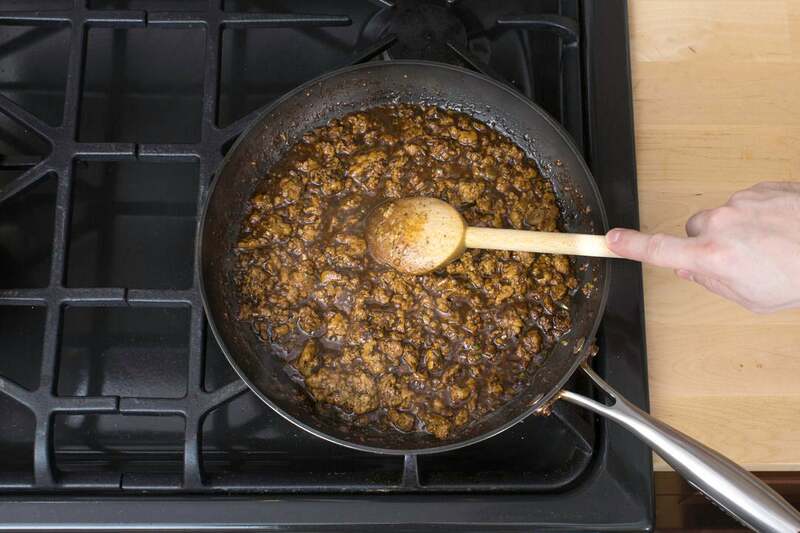 Add the ground bean sauce, cooked turkey, remaining sugar, ½ cup of water and as much of the remaining gochugaru as you’d like, depending on how spicy you’d like the dish to be. Cook, stirring occasionally, 4 to 6 minutes, or until thickened; season with salt and pepper to taste. Remove from heat. Rest a colander or strainer over the pot of boiling water, making sure that the water doesn’t reach the colander. 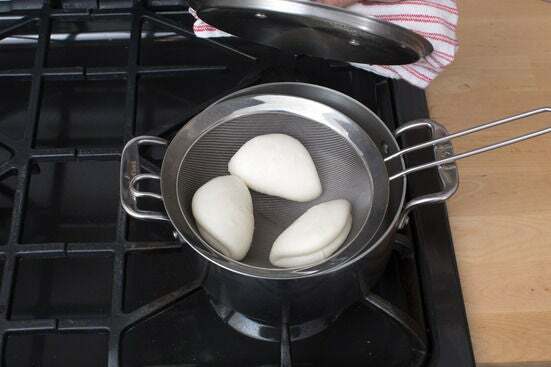 Working in batches if necessary, place the buns in the colander; cover with the lid of the pot. Steam 3 to 5 minutes, or until the buns are softened and puffy. 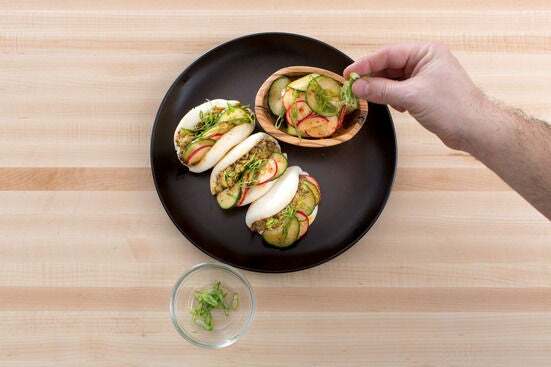 Carefully transfer the steamed buns to a clean work surface. 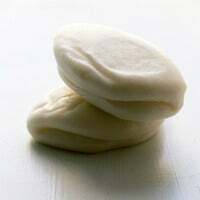 Fill each steamed bun with some of the filling and kimchi (you will have extra kimchi). Divide the finished buns between 2 dishes. Serve with the remaining kimchi on the side. Garnish with the remaining green tops of the scallions. Enjoy!